Software programmes. They can be intimidating. 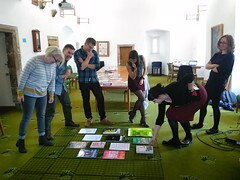 When we were told that we would be learning Adobe InDesign – a publishing software programme – I was worried. Would I be able to learn how to use this software programme within a few months? During my previous MSc in Spatial Development and Natural Resource Management, I had learnt how to use ArcGIS, a geographic information system. There’s something fascinating about putting data into a programme, and seeing the visual end result. I’ve always been intrigued by how I can best use software programmes, and remember spending hours learning how to use Microsoft Word, PowerPoint, and Excel, when I first learnt of them in primary school. I soon realised that my working method for Adobe InDesign would be similar to how I worked with the other software programmes I knew. The main part of learning how to use any software programme in my experience, is knowing how to search for a solution when you get stuck. I love the challenge of thinking of the most efficient way to word my problem so that I can type it into the search engine and find solutions to my problem. Another part that I find important to do at the beginning is to learn the keyboard shortcuts, it always gives me this feeling that I understand the software better, which in turn makes me feel more comfortable with using it. 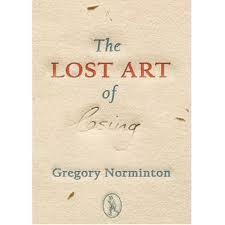 As with any software programme, I find that I learn best by using the software. Thus, I was intrigued our projects this trimester would be to typeset a book and design a book cover, as well as, create a magazine spread this trimester. The projects provided me with the opportunity to practise my skills, and with that practice my skills improved. I enjoy using Adobe InDesign now and I’m not intimidated anymore. I like working with numbers, so using the reference points and tabs to ensure that all objects line up, makes me very happy. It’s easy to use and doesn’t require the knowledge of a programming language. And I feel like there’s always more to discover about it, whether it’s a new shortcut or a new tool, thus I’m never bored. I’m Sinead, an MSc Publishing student at Edinburgh Napier University. 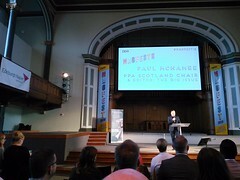 I’m the Communications Officer and the Inclusivity Officer at SYP Scotland. My blog Huntress of Diverse Books focuses on reviewing and promoting diverse books. I’m also a co-host at Lit CelebrAsian, an initiative aiming to uplift Asian voices in literature. Congratulations to this year’s students who have secured employment before even graduating! Congratulations also to all our other students who are now in publishing – do keep in touch and let us know how you are getting on! Author frontlistPosted on 26/09/2011 25/11/2011 Categories MSc Publishing News, publishing studiesTags how to get a job in publishing, MSc Publishing, Publishing Edinburgh Napier UniversityLeave a comment on Congratulations! 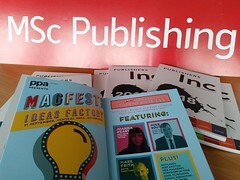 This year’s new arrivals to MSc Publishing at Edinburgh Napier University were welcomed to the industry by one of the most important figures in Scottish, if not British, publishing. Marion Sinclair, Chief Executive of Publishing Scotland, opened the door on the exciting world of publishing and provided a taste of the calibre of speakers who regularly give of their time to talk to our students. Photo shows Marion Sinclair (left) and Prof. Alistair McCleery speaking to MSc Publishing students in our Castle Room, Craighouse Campus. The Spring trimester is a busy one for Edinburgh Napier Publishing students, but also offers some fun opportunities. 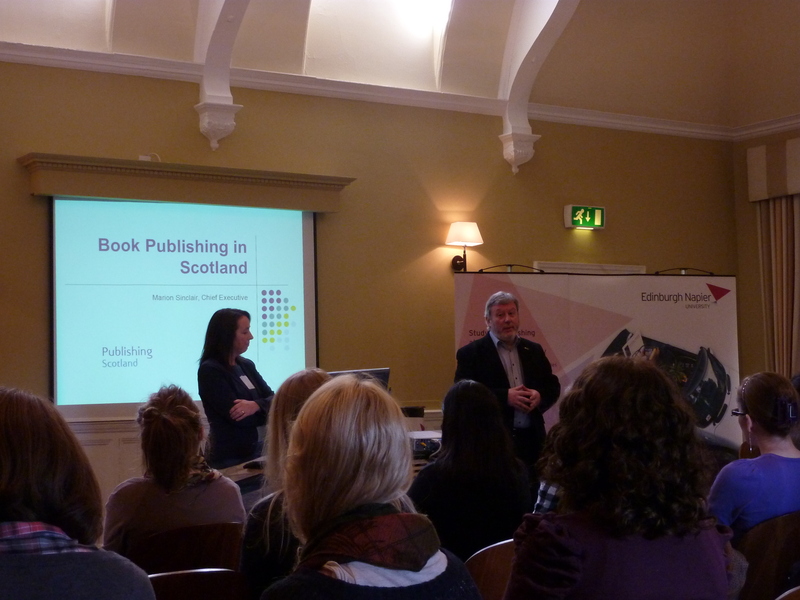 On 21 February 2011, several students from Edinburgh Napier attended Publishing Scotland’s annual conference. This year’s theme was “Publish Locally, Sell Globally”. 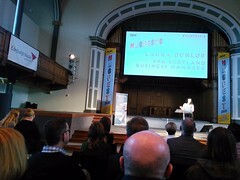 It was a wonderful opportunity for us to meet professionals in the Scottish publishing industry.